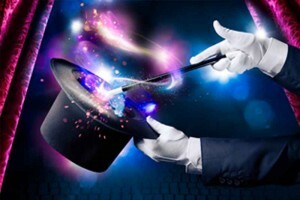 When you think of magic, what do you think of? Probably something that is unbelievable, astounding – something you have never seen before. Here are a few things to make your practice amazing and standout from the competition. How you present yourself and what your patients see when they first walk through your doors has everything to do with how other people and potential new patients view your practice. Avoid clutter, have an office environment that is clean, organised and clearly shows that you are serious about your care. Furthermore, patients should never feel uncomfortable or out of place at your clinic. Patients should find themselves immediately at ease upon walking through your doors. Be sure to have some attractive and comfortable chairs for your reception room. Provide cold water. Invest in a state-of-the-art high definition TV that can play relevant videos and information about your practice, services and staff. Be sure your front desk team welcomes every patient as if he or she is the most important person walking through your door that day – because in reality, he or she is! Every practice has a story. What’s yours? Find it and give it a voice, something that your patients can relate to and identify with. Carry that voice through all your branding and contacts with your patients – especially your online and social media presence. Is it dull and dry? Is it who you want to be? Don’t be afraid to be edgy if that is who you are. Be crazy. Be funny. Be the way you are with your friends. But no matter what style you choose, be conversational, genuine and likeable. Remember, patients see practitioners they like. There are things you can do in your practice that no one else can. What are they? You must embrace the concept of your ‘only-ness’. “We are the only practice in the area open after hours, we are the only ones that offer…” Fill in the blanks. Too many practices make the mistake of going head-to-head with their competition by promoting identical services. Instead, you need to ask yourself, “What is my only-ness?” Then make that only-ness central on all your marketing and branding messages. If you really want to pull off some healthcare magic, think of what is perceived as one of the major health concerns within your community. Find a solution to that problem, and let your patients know it! What are your patients’ sore points? Relieve their pain and they will come through your door. Every amazing magic act has a great assistant. That is because they realise you can’t dazzle your audience without some fabulous support staff! Improve your recruiting. Find ways to get and keep good people. Talented and motivated staff members can bring on big improvements in any practice. This is especially true of any person that interacts directly with your patients. Once you find your practice voice, you need to find the people you want to represent your story. Train them well and ensure they are friendly, knowledgeable and engaging with every patient that walks through the door. It doesn’t matter what your practice does, if you want to succeed, you need to learn how to make it remarkable. You need to create a burning desire for patients to want your treatments and care and have the power to instantly transform a new patient into a happy patient. That takes time, brilliance, patience, creativity – and sometimes magic!